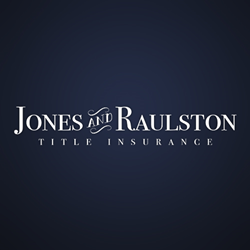 Jones Raulston, a title insurance agency based in Chattanooga, Tennessee, received the award for the top overall producer in 2015 from three of its underwriters, Fidelity National Title Insurance Company, Chicago Title Insurance Company, and Commonwealth Land Title Insurance Company. This is the second consecutive year that employees with Jones Raulston received this award. “This award is a testament to our loyal customers and increasingly attractive Tennessee and Georgia real estate markets. “This award is a testament to our loyal customers and increasingly attractive Tennessee and Georgia real estate markets. We are once again honored to be the top agent for the largest underwriters in the country,” said Web Raulston, Vice-President of Jones Raulston. Jones Raulston serves a national portfolio of clientele with Title and Settlement services in Tennessee and Georgia. They were the first Title Agency in Chattanooga and the surrounding area to receive the ALTA (American Land Title Association) Best Practices Certification. In August of this year Jones Raulston held a free class for 200+ local Realtors explaining TRID and the new closing disclosures. Jones Raulston is the first company of its kind to offer realtor continuing education on this scale.